Home repair services, maintenance services ads in Sydney. Thank you for visiting our free advertising website Home repair services, maintenance services, Sydney section. We provide high response free classifieds and free advertisement. Use our online free Home repair services, maintenance services classifieds placement system to find, list, offer Home repair services, maintenance services online! Transform the look and feel of your whole house with an outstanding bathroom makeover. NuDesign Bathroom Renovations are Sydney's bathroom transformation specialists. Delivering superior quality at very competitive pricing you have so much to gain with our no-obligation, free quotes. Located in Haberfield, NuDesign service all of Sydney's Inner West, Eastern Suburbs and Lower North Shore. Operating out of West Ryde, Be Assured Plumbing has the service and experience that you need in a trusted all-round plumber. With general plumbing, blocked drains, hot water and gas fitting the core services of our work, we offer solutions to both residential and commercial customers looking for a reliable team to solve their issues. Since 2001, Carl’s Kitchens in Penrith is a family owned firm which provide practical and innovative designs for kitchens all over Sydney. With us you will experience true professionalism and excellent kitchen renovation service rolled into one. For more details visit http://www.carlskitchens.com.au Contact. Contact us today on 0432 300 062 for all your painting requirements. http://dupaint.com.au/ 18 Sherwin Ave Castle Hill NSW 2154 Australia. Are you unable to overcome the technical/legal shortcomings for your proposed visit to Australia? Have trust in the expertise of our immigration lawyers who have amassed a great experience in sorting out these problems. It’s the time to get in touch with them at www.valetmigration.com.au. Call them today at 291915581 or 291915580. Are you specifically looking for experienced commercial painters who offer painting services for your new office or other commercial venue in Sydney or surrounding area ? Adsum Colour company offers full range of commercial painting services for all clients residing in Cambridge Park, Western Sydney, Blue Mountains, Penrith and surrounding areas. we specialise in samsung fridge repairs and service. All of samung fridges including side by side, upside down and freestanding. We are fully approved and rest assured fully insured under state regulations. So call the best samsung fridge repair service in sydney http://www.samsungfridgerepair.net. Finding licensed and reliable electricians is no more a daunting task in Australia, as Electrical Hills District has changed this scenario to a great extent. We have years of experience in handling all types of complicated projects irrespective of their sizes and areas. We are an ultimate option if you are seeking professionals for electrical installation services. Sydney Painting promises the complete peace of mind for the Strata Painting Services provided by our Professional Painting Sydney. We can resolve all Strata. Visit sydpainting.com.au/commercial-sydney-painters-painting to learn more about Professional Painting Sydney..
At Antileak Roofing, We offer leaking roof repairs, roof restorations, roof maintenance, roof painting and guttering in Sydney. Making your roof Weather proof. Visit antileakroofing.net.au to learn more about Roof Repairs Sydney..
Specialising in landscape design, construction and maintenance whilst ensuring sustainability. Based on Sydney's Northern Beaches, the team understands the diverse and unique landscape requirements of Sydney's Northern Beaches. With our extensive industry experience qualified Landscape and Horticulturist. Experts at Bavarian Shutters Sydney specializes in offering wide ranges of high quality window roller shutters and also provide shutters repairs and installation services in Smithfield, Liverpool, Bankstown and around the Sydney area. For more details call us at 0297564446 or visit our website http://www. Looking for professional plumbing professional in Sydney? Contact Local blocked drained specialist! Local blocked drained specialist believes in providing best quality client service. Right from initial booking to fixing the problem like sewer cleaning, dig repairs and more, the experts of Local blocked drained specialist is there for your help. Rabin Painting Services is a reputed painting company in Sydney that can paint your home/office in the desired combination of colours, at affordable prices. You can reach us to hire our commercial painters and house painters in Sydney. Address: Lane Cove Road Gladesville NSW 2112 Phone: 281884731 Visit: http://rabinpaintingservices. Commercial Painters in Sydney - Rabin Painting Services. Rabin Painting Services is a renowned painting company based out of Sydney, catering for homeowners and commercial establishments alike. Our commercial painters in Sydney have come a long way providing painting assistance to all types of buildings – whether commercial or residential. Address: Lane Cove Road Gladesville NSW 2112 Phone: 281884731 Visit:http://rabinpaintingservices. 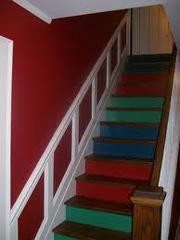 Online Residential Painting Solutions in Sydney. Looking for a reliable painting company in Sydney? Get in touch with the best commercial painters in Sydney –Rabin Painting Services – in order to get the best advice, followed by cost-effective commercial and residential painting solutions in Sydney. Whenever you need professional painting assistance in Sydney, remember that Rabin Painting Services is just a phone call away. With 35 years experience combined, we are Canberra's only UPVC double glazing fabricator. We service Canberra and the greater surrounds. Specialising in doors and windows, we manufacture the product and then install on site. Get in touch today on 1300 798 188 for a quote.. Floating timber floor is among the most popular types of flooring. It is easy to install and it can lost longer with proper care and maintenance. However, buy your floor from reputable suppliers to get quality products. Contact Us: Aquastep Address: 67/17-23 Newland St Bondi Junction Sydney, Australia Phone: +61 2 9389 4389 Website: www. We are a boutique Residential Building Company, Specialising in High Quality Home Extensions & Renovations. Servicing the entire Sydney Area. To Organise a Quote, call 0430 512 259. OUR PASSION, YOUR LIFESTYLE. Sydney Werrington County NSW 2747 Australia http://www.ellingsworthhomes.com.au/ 0430. We are a company based on the Northern Beaches in Sydney who specialise in replacement, service, repair, maintenance of hot water systems. We also specialise in service, repair of hydronic heating systems including boiler repairs and replacements. We are also happy to carry out any general plumbing maintenance including fixing a leaking tap or installing a new gas point for a heater or bbq. We specialise in electrical and communications cabling for all types of fitouts, refurbishments, data centre’s, new installations and maintenance no matter how big or small for shops, homes and factories. What our clients love most about us is that: We turn up on time We leave the site at the end of the day in a neat and tidy fashion We guarantee all our work We only use materials of premium quality and Australian Standard approval We are reasonably priced What this means is: That you will not be waiting around That you will have peace of mind and confidence in the quality of work you have had performed at your premises That you received fair/ value for your money for our services. There are so many espresso machines on the market that it's hard to make a choice. 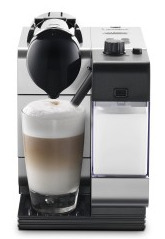 Find out what is the best espresso machine for you here.See more here: http://mycoffeemood.com/the-best-espresso-machines-reviews/. Building from your perspective - we are proud leaders in the residential and commercial building design, construction and project management sector. Our philosophy of world-class excellence in craftsmanship, innovation, integrity and service is at the core of everything we do. http://www.mudgecorp.com. Emerald Landscaping caters to a broad range of the city and surrounding areas. At Emerald Landscaping we aim to provide our clientle with much more than a garden, we create a lifestyle that. Huge Selection of Sydney Security Doors, Windows NS Security Doors provides latest security features in window or doors so that you can fully protect your home or business.At NS Security Doors, we have undertaken a number of jobs in the past 20 years. We are Specializing in custom made wrought iron designs. We provide in-house measure and quotes for custom made and fitted blinds, curtains and shutters. We do both commercial and residential homes. We also provide repairs for existing blinds, curtains and tracks. Interior design advice is also available. We also do outdoor awnings, blinds and automated roller blinds. Slate is a natural stone roofing product. Slate can be thought of as metamorphosed shale. The main constituents are mica and quartz, but there are typically many other minerals in slate.. Leading suppliers of render and grout, pumping, mixing and application machinery. We strive to supply these aspects of the Australian building industry with equipment of the highest quality, imported from Europe. Call 1300 229 757 and speak to our team about satisfying your requirements..
Ashford Roofing specialises in slate, copper and peg tile roofing.Their reputation for high quality workmanship being a licenced contractor allows them to stand out in the crowd. Call now for a quote!. Icon roofing is a new company started by two friends both born and raised in Country NSW and who have been working together for the past 6 years. Our aim is simple, to deliver the highest quality product and workmanship at an affordable price. Punctuality and presentation are also very important, as we know how many people can be deterred by tradesman who look unprofessional. Australia free ads for Home repair services, maintenance services, Sydney, Home repair services, maintenance services free ads Sydney, Home repair services, maintenance services for sale Sydney, Home repair services, maintenance services to buy in Sydney. Find on this page free classifieds for Home repair services, maintenance services in Sydney. This listing includes classifieds for sale and to buy in Sydney. FREEADSAustralia Sydney offers you a platform to post free advertisements or classifieds for Home repair services, maintenance services in Sydney. FREEADSAustralia helps you search, find buy, sell, rent or hire in various categories like apartments, goods for sale, local services, cars , jobs and many more in Sydney. If you posted an advertisement in category Home repair services, maintenance services of FREEADSAustralia Sydney before please use Edit my ads button to change or cancel your ad. Home repair services, maintenance services Sydney ads Sydney, Home repair services, maintenance services classifieds Sydney, Home repair services, maintenance services free ads Sydney, ads for sale Sydney, ads to buy Sydney, FREEADSAustralia Page number 7-1. Find here ads for sale, to buy and rent in Sydney. Goods for sale in Sydney, vehicles for sale in Sydney, Sydney real estate for sale, Sydney property for sale, property for rent in Sydney, business ads in Sydney, Sydney business classifieds, services in Sydney, Sydney services ads, jobs in Sydney, pets for sale in Sydney, Sydney dating, Sydney cars for sale.